60 Backers or 75% funding by midnight Wednesday, February 5th, I'll add an original beady sketch to every book ordered through this campaign. 70 backers or 80% funding by Wednesday, I'll create an exclusive digital addition and will send it to every pledge level from $5 up once the Kickstarter succeeds. Just so we're clear - if we reach the second stretch goal (70 backers/80% by Wednesday), I will draw beady sketches in all print books ordered AND send the exclusive digital addition to all backers at $5 or above. The addition will feature a photo essay of the construction process for a piece not included in my book, and will be exclusive to this campaign. It will be delivered at the same time as the digital and print books. I will work on this addition after the book itself has gone to press, but before it has returned from the printers. Spread the Word: Head out to your favorite forums and social media sites. Make sure they're relevant: beading, freeform peyote, seed beads, ... you know the score. With an emphasis on no spamming here and adhering to forum protocol and rules: write a post or comment in an existing one about this book and Kickstarter. Someone else already created a post? Add a comment; it still counts. Have your own thread going from a couple of days ago? Add something to your earlier post to freshen the topic, or write a new post - perhaps mentioning the new stretch goal. 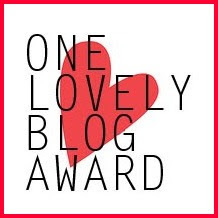 Don't spam - no one loves a spammer - make the posts thoughtful and contributory. 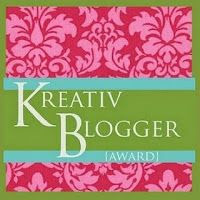 That's it ... continue creating a buzz. You have all been truly, wonderfully AWESOME in this respect! When you do this, post a comment here and let me know. Several people have asked about ordering extra signed copies of the finished book. Now, any backer at the $10 level or above can purchase additional signed copies of the book for $30. Simply add $30 for each book (up to 10 total books due to Kickstarter rules). If we reach this week's stretch goals, I'll even draw sketches on the title page of every copy if you'd like. After the campaign succeeds, I'll send out a survey to verify what the extra amount was for so I get it right. Anything else you'd like to see, or anything you think I should add to this campaign (Including topics for inside looks at the book project itself)? Let me know - I'm always open to suggestions! 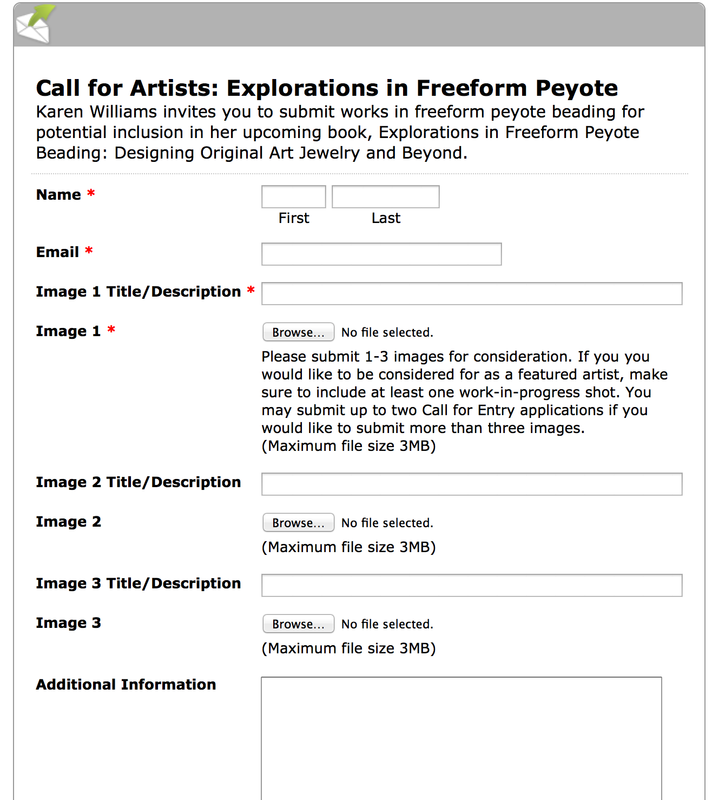 This is a call for entry for my upcoming book Explorations in Freeform Peyote Beading: Designing Original Art Jewelry and Beyond. What I'm looking for are original designs, high-quality photos and a wide range of styles. 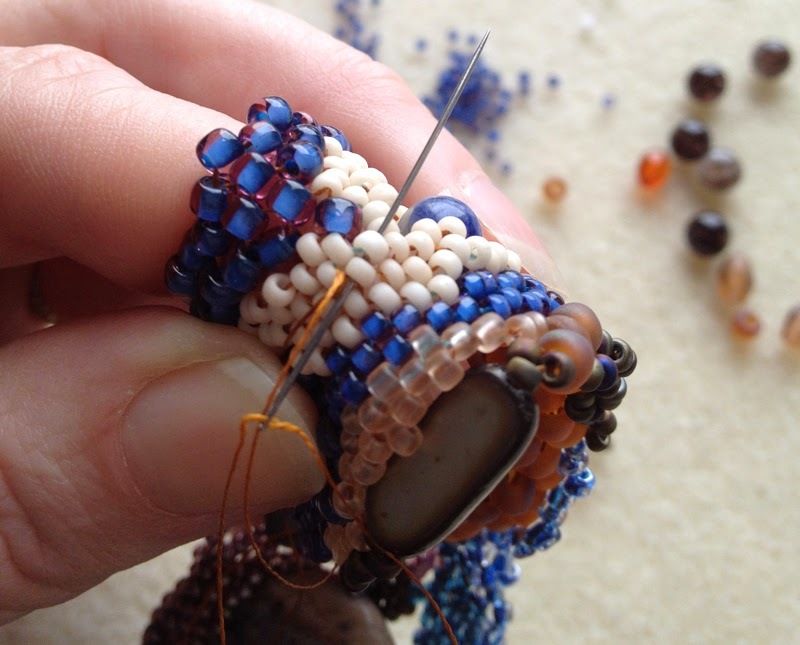 The predominant beading style of all work submitted for consideration must be freeform peyote, though pieces may include other beading styles, stitches and media. Works may be jewelry, accessories or small sculptural pieces. The Call for Entry is open to all artists, whether within the United States or international. 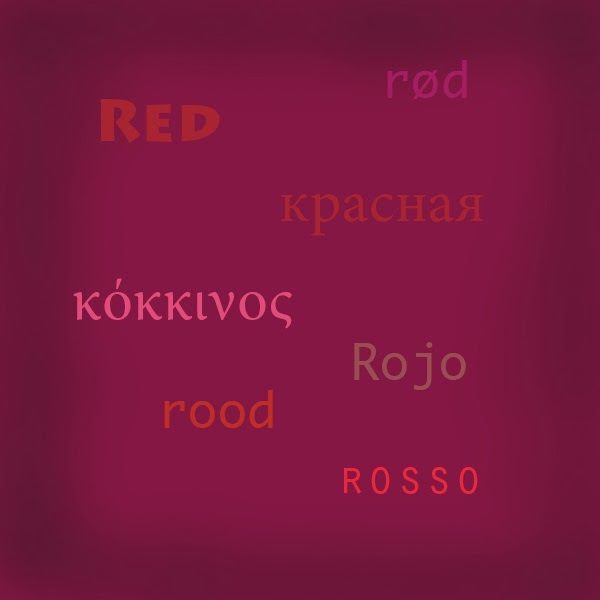 A) Images of Works - One to two images per artist. I will use these pieces to help illustrate specific design or construction elements and/or in gallery pages. 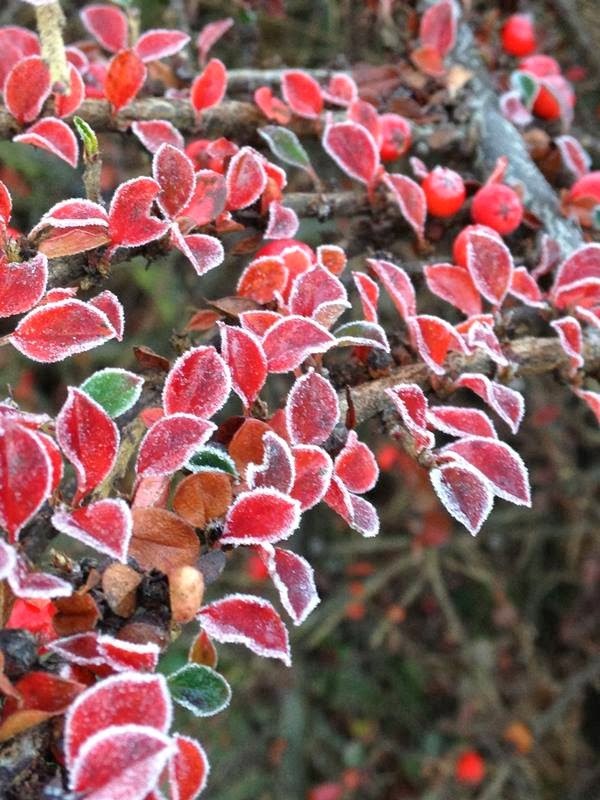 The caption will include the artist’s name (and photographer’s name, if different) and the title of the piece. The artists and their works will be listed in an index of photographs, with a link/URL to their website, blog or estore. In addition, each artist will receive a digital copy of the completed book. B) Featured Artists - Here, I'm looking for artists willing to share information about their creative process as well as their finished piece. The goal is a quick peek into your process, including two to four progress photos and your source of inspiration as well as the finished piece along with some commentary about your process. The featured artists and their works will be listed in an index of photographs, with a link/URL to their website, blog or estore and will have a short biographical statement associated with their work. In addition, these artists will receive a print copy of the finished book and a $50 token of appreciation for their contribution. Copyright: All work must be submitted by the artist who designed and stitched the piece. You must hold the copyright to the design. If your work was inspired by the work of another artist, please include the name of the artist and their work, explaining how it acted as your inspiration. Photography Hints: I am looking for the highest quality images as well as the highest quality work. If you're looking for tips and hints to improve your photography, I highly recommend The Crafter's Guide to Taking Great Photos by Heidi Adnum. Remember to keep backgrounds simple - the focus should be on your jewelry. Deadline: The deadline to apply is Monday, March 31st. I will be selecting work for inclusion in my book project in an ongoing process throughout the application period. I'm running a Kickstarter campaign to help crowdfund and support the production of this book. Right now my budget is very slim, meaning I will need to keep the number of external artists (especially featured artists) low. More artists means a broader range of ideas and inspiration as every artist has their own style and method of working. Your support and a successful Kickstarter will allow me to greatly expand the number of artists’ whose work is included in the book. Click here for the official submission form. If you you would like to be considered as a featured artist, make sure to include at least one work-in-progress image and indicate your interest in the additional information section. I am using an EmailMeForm account to standardize data collection. Due to upload limitations, the maximum file size for each image is 3MB, with a maximum of three images per entry. You may submit up to two Call for Entry applications if you would like to submit more than three images. 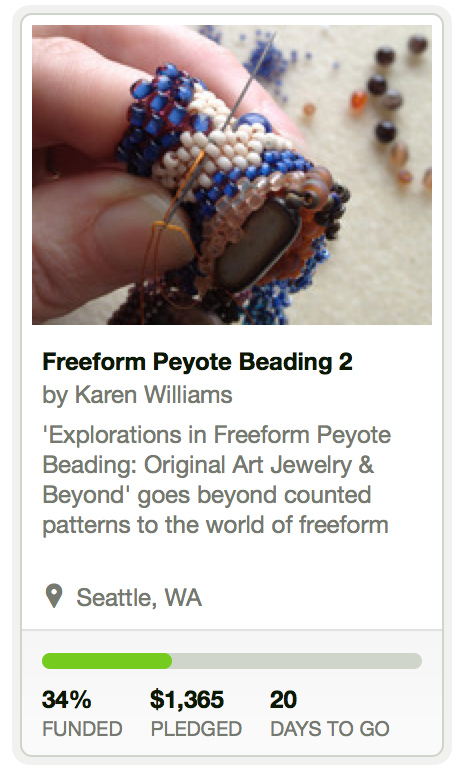 I've just launched my Kickstarter campaign for my next book, Explorations in Freeform Peyote Beading! For those of you not familiar with Kickstarter, it's a form of crowd funding, connecting people with ideas with people who like those ideas enough to want to help make them happen. Kickstarter provides the basic tools, framework and online venue for the fundraising. The person with the idea takes it from there, reaching out to the world and saying "wouldn't it be cool if...". If she's lucky and really does have a great idea, the community and the world agrees, her campaign is funded, and she gets to work turning her idea into something real. 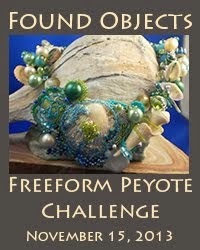 My idea: a new book entitled Explorations in Freeform Peyote Beading: Designing Original Art Jewelry and Beyond. Reaching out to the World: This will be my second book on freeform peyote beading. Why have I decided to crowd fund this book, when I've self-funded both of my previous endeavors? The answer is simple - I don't want to compromise this time around. With Freeform Peyote Beading, I had to make some really hard choices in order to get it to publication. Decisions that meant information was left on the cutting floor because I simply couldn't afford to include them based on the additional time it would take to flesh them out. 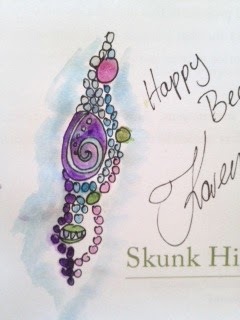 I am still so proud of Freeform Peyote Beading - I stayed true to the core of the idea of what I wanted to present and I still believe it's an excellent introduction to freeform peyote beading. With your support, Explorations can go the next step, continuing to bring this compelling, fascinating and challenging medium front and center. I may be the one writing and producing this book, but the truth is, it's not my book, but yours. I'm writing it for you and others like you who are interested in the same crazy beading that I am. So we can all create our own wonderfully original freeform designs. Curious what I have planned? Wander on over to Kickstarter and check it out! You can even watch a little video where you'll see (and hear) me talk about the project. No worries about me abandoning writing for a film career though - I'm definitely a much better writer and author than I am videographer! And if you like my ideas, please consider becoming a part of this project. I'd love to share this process of creation with you, and give you the tools to make your creative visions a reality. Thanks for another great year! 2013 saw growth in almost every area of my business and I couldn't have done it without all of you. 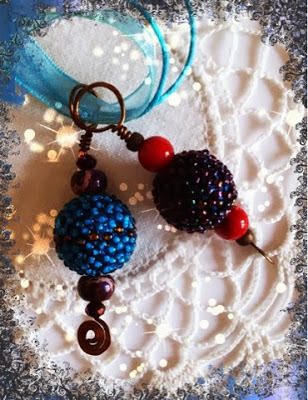 You've just won a little beaded bead pendant (similar to the one's in the picture) made by me in the color of your choice. You both should receive an email from me in the next hour. 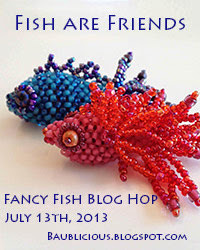 It's time to write the sequel to Freeform Peyote Beading! My first book, Freeform Peyote Beading was totally a labor of love, born out of the belief that there must be others, somewhere, interested in the same crazy beading that I was. When I began that project there were no other books out in the field. Writing Freeform Peyote Beading I worked in largely uncharted territory, deciding what were the most essential elements necessary to be successful in this medium. I know there have been comments that my book could have been more. I have to agree - even then there was so much more I wanted to add. But in the interest of actually completing the project, I decided it was 'enough to be getting on with' as one of my friends would say. 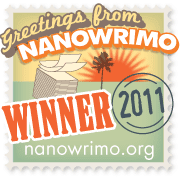 In the past four years, my comfort and skills with the entire writing/editing and publishing process have grown tremendously. Better yet, I'm now part of a community of individuals from around the world interested in beadweaving in general and freeform beading in specific. And I know I'm not totally bonkers thinking that someone, somewhere might also be interested in my finished book. Larger and Longer The new book will be a full 8 1/2 x 11” paperback topping out at 150 pages - nearly twice the length of my original! Full-bleed photography The full-color interior layout will include full-bleed photographs allowing me to expand the images all the way to the edges of the page. 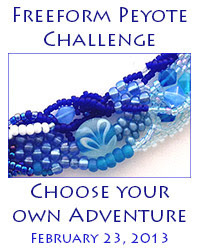 More Designs, More Artwork, New Projects Most of the additional pages will be devoted to more and expanded beading examples and more in-depth tutorials with new designs. Works by Other Artists I am in awe of the wonderfully vibrant community of artists working in this medium and hope to include and promote other artists through the medium of my book. As such, I am and will be actively soliciting participation through a Call for Artists. While I plan to post a Call for Artists here on my blog, let me know if you’d like to receive an email notification when it goes live. Not Just Jewelry I'm adding a completely new chapter entitled “Beyond Jewelry” which will focus on freeform beading as a sculptural medium, including beading over ready made forms such as glass bottles and free-standing sculptures. Index Amongst other things, I'm currently at work developing a list of keywords and phrases for a comprehensive index to make finding information even easier. Digital Publishing I am also hoping to publish in both Kindle and PDF digital versions as well. Expected publication date: December 2014. My plan is to have it available on Amazon by or before December 1st. It's a long journey between here and there, with many, many steps. To help guide me on my way, I have my detailed outline along with my somewhat daunting production plan with deadlines for each element of writing, beading, photography, illustration, editing, page layout and more. And I'm ready to start. Excited, a little scared, part of me wondering what in the world I'm doing, but excited to dig in. Is there something in particular you'd really love to see in the book? Now's the time to let me know! I'd love to hear your suggestions. On January 15th, I'll be launching a Kickstarter campaign to continue building a community of supporters and to help me fund this project. In a project of this scale, community is so important. I want to continue to show the world what Freeform Peyote is all about and share some of the best and brightest from our community in the pages of my book. It will also be great to have that financial support while I work on a project of this size. With this great new book project and my first Kickstarter, 2014 looks like it will be a fantastic year and here's wishing that yours will be just as wonderful!